Only the company which has modern technical and technological basis for assembly and installation of heating systems, and also provides further warranties can offer you energy-efficient heating. Heating a private cottage is important part of home maintenance; it is not an easy task to select from among numerous options that are available in the market and not to waste your money. Taking into account annual gas and electricity price rises, in winter in particular, energy-efficient heating becomes an increasingly vital issue. Many manufacturers of home heating systems declare properties and performance level that differ significantly from those their products demonstrate when fully exploited, varying conditions being the most typical excuse. 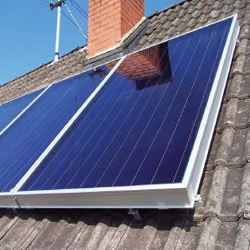 ISE offers energy-efficient heating systems for private houses; the company creates designs that adjusts to individual requirements using traditional and solar technologies with alternative energy sources for hot-water and heating systems, and for electricity generation. 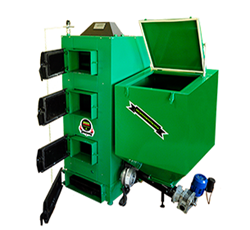 We offer more than eighty models and thirty types of solar collectors and solar water heaters, more than ten types of solid fuel boilers; we are also producers and suppliers of wood pellets. All materials used by ISE were certified in international laboratories and received ISO9001 (2000) international certificates of quality and the European Union CE certificate. We offer competent solution for technical challenges, high quality and reliability of the solar thermal systems are our top priority. Our pricing policy is aimed at satisfying customers . 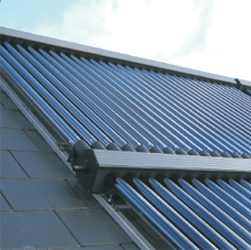 ISE also designs and install solar thermal systems in home and business, hotels, water parks, public buildings; our solar water heating systems can be adapted to and integrated into existing central heating systems. 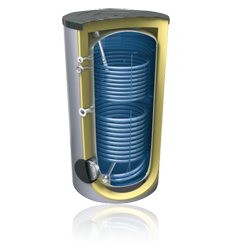 We offer customized solutions in the field of alternative sources of renewable energy: solar collectors, solar water heaters, evacuated tube solar collectors with high absorption of energy, solar heating systems, central solar heating systems with lithium bromide radiators, solar panels, wind generators, solid fuel boilers for firewood or/with pellets. ISE cooperates with the world's largest manufacturing companies, which enables us to gain experience and to develop ever better products for the heat market. Solid fuel boilers of new generation!